Do you know an amazing teacher that goes the extra mile in McHenry County? 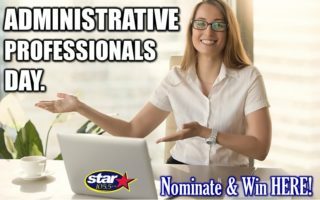 Nominate them for the Home State Bank and Star 105.5 Teacher of the Month Award! Check out the 2018-2019 school year winners HERE! We choose a new McHenry County “Teacher of the Month” each month between September and May. Teachers are selected by your story about what makes him/her so special, NOT by the number of nominations. After you have submitted your nomination for “Teacher of the Month” they’ll get a copy of your story so they know just how special they really are. Each month we review new submissions AND previous nominations for teachers that have not won the award. That means if your favorite teacher is not chosen, they still have a chance in future months. At the end of the school year, 1 of the 9 teachers that have been selected as “Teacher of the Month” will receive the Home State Bank “Teacher of the Year” award and will receive an NEW iPad as a Grand Prize! Nominate a McHenry County teacher who has gone above and beyond! *Personal information (email & phone) will not be shared. 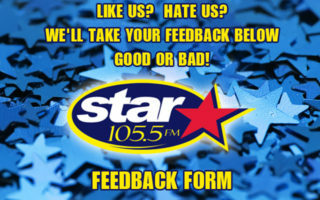 Please note that by posting videos and/or photos you’re giving Star 105.5 the right to share online. You can do more…in a Jiffy!